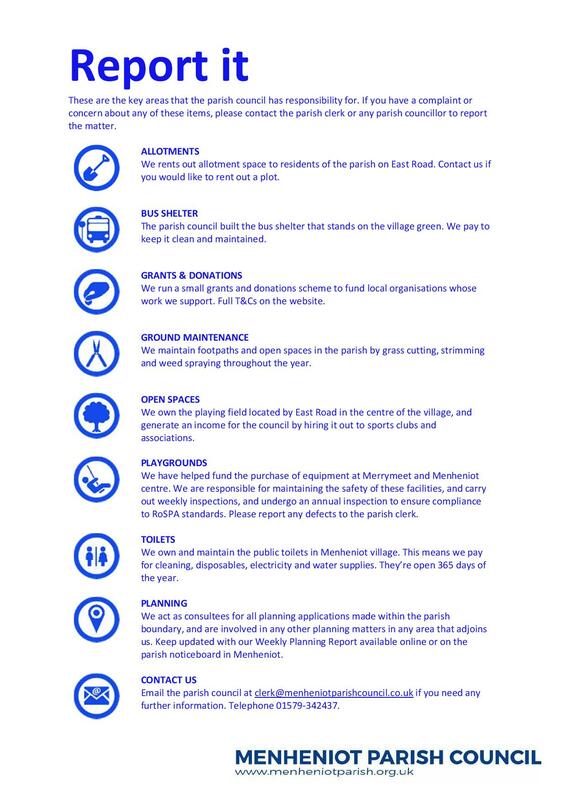 Details of the various groups operating and activities available in the parish can be found here. If you want to find out what’s going on in the parish, what’s going to happen or even what happened in the distant past, this is the place to look. The site is provided by, and maintained through, the Parish Council. On this web site you will find details about the Parish itself, it’s history, news, events, activities, groups and societies, the businesses, the parish councillors and parish council meetings. 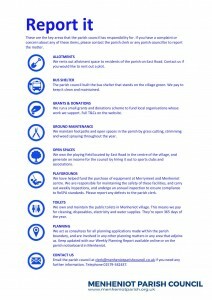 The site is provided by, and maintained through, the Parish Council. If you think that something is missing or wrong, please let us know. The parish council’s auditors have approved the accounts and governance statements for the year 2017/18. 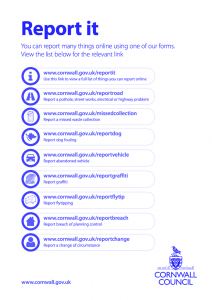 Download a copy of the certificate here which includes details of when you can make inspection of the annual return. 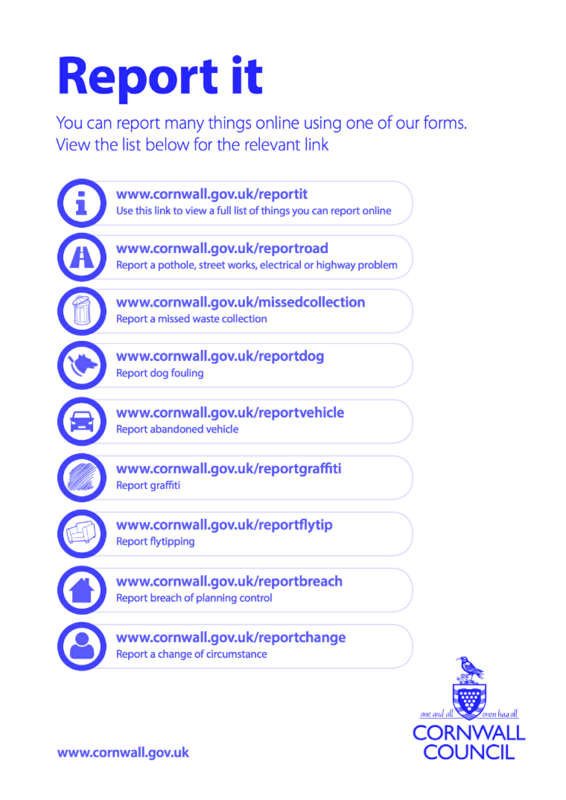 If you have problems with potholes or waste collection, bus shelters or planning, here’s a quick guide to who-does-what and how to take action. In May 2017, the council appointed Steve Besford-Foster as project manager for the Menheniot neighbourhood plan. We are in process of setting up a steering group that will oversee the project, and engage with our residents to get the widest range of opinions on the plan. The steering group will be holding regular monthly meetings from September 2017 onwards. If you’d to stay connected to our work, send us an email and we will include you in our mailing list for bulletins. The plan has it’s own dedicated website. Visit it here, and bookmark it for future reference. You can also find us on social media. Search for #MenheniotPlan on Twitter or follow us on Facebook. Your privacy is important to us and we take great care to protect it. We will only share your data in very specific circumstances when we have your consent. Follow this link to download the council’s General Privacy Notice. If you have any questions about the privacy of your personal data, contact the Data Protection Officer using this webform.